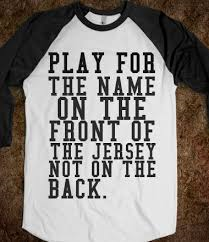 The Good Idea Fairy | "The front of the jersey..."
The culture of an organization can often be characterized by a few key behaviors. These behaviors may offer insight into the degree to which a team may be experienced, confident, or mission-aware. 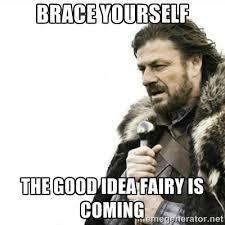 One type of behavior is how the team reacts when the Good Idea Fairy comes flitting into the meeting room, sprinkling pixie dust over a whole lot of stuff that isn’t broken. If the team’s first reaction is to leap from their chairs and throw the Good Idea Fairy a good beating, this might be an indicator that the prospect of change is not welcomed with open arms. Good ideas can come from a couple of directions, and I will try to cover both. If you are the boss, bright ideas may germinate at a conference in between trips to the break room to load up on snacks, then get powered along by a working dinner amongst colleagues exchanging lustful thoughts about their newest and sexiest processes and procedures. On your plane trip back to home base, you may even scratch out your idea into an outline while texting the team to assemble bright and early Monday so that you may issue forth with your Good Idea. If that describes the way the process goes down most often for you, you might want to invest in some anti-chafing cream when the team starts exchanging knowing glances as your eyes are misting over at the thought of your Good Idea. 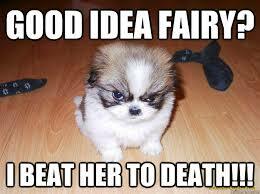 When the Fairy strikes the boss, the boss better have some thick enough skin (or a great second-in-command) to work through the disappointment of not everyone seeing the wonderfulness of your plan. Ideas are just that – ideas. They need proper care and feeding before they get to the harvesting phase and if you try to short-circuit this process simply because it’s ‘your” idea, it will be disappointing, regardless of whether you are the boss. On the other hand, and much more importantly, a culture that appreciates good ideas regardless of their origin, that rewards a willingness to take risks, and that encourages innovation, has the foundation for the sort of dynamic interpersonal relationships that can produce some pretty remarkable achievements. While it is entirely within the realm of possibility that the boss can have good ideas, a leader’s contribution to a team can have a far greater impact when it comes in the form of encouragement, and management of the idea process. Making sure there is a safe place and time to express ideas, ensuring that the right people are part of the process, and taking steps to insert where needed a discussion on how to evaluate the success of an idea is the type of leadership and management approach that the boss can bring to a high functioning team. Arguing for perfectly acceptable courses of action that have worked for generations can be correct in some cases and a death rattle in others. 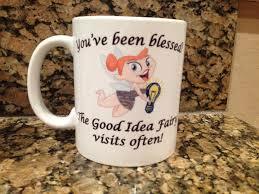 To not argue at all means the Good Idea Fairy is not welcome in your workspace. 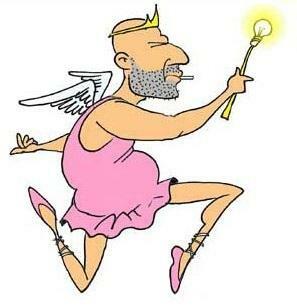 Leaders invite the Good Idea Fairy into the room, tell it where to sit, when to speak, and when to exit, stage left.